iForex is Cyprus-based capital markets broker, that provides clients with a state of the art platform, which offers many compelling features. The company has a 10-year track record, but experienced geometric growth in 2004 as it became one of the few multi-lingual internet based trading platforms. The company provides many tools to assist in the trading process including news and analysis, along with daily video analysis combined more than 200 tradable instruments. iForex offers major currency pairs, along with minor and cross currency pairs. The most liquid commodities along with global equity indices are traded by iForex. In addition, some of the most popular individual equities, such as Apple and Facebook are traded during market hours. In addition, iFOREX has distinguished itself as an industry leader in tight pip-spreads, real-time exchange rates and market prices which are provided via a direct link to the interbank arena. Foreign exchange rates, along with commodities, stocks and indices can gyrate and by having a unique full margin usage policy this enables traders to maximise gains in their trading account. iForex adds a feature of the risk management which provides negative balance protection which prevents losses which are greater than what the trader determines. While leverage is offered at 400:1, iForex uses a customised approach for every investor to ensure prudent risk management. iForex can keep trading costs down by offering exceptionally tight spreads. iForex offers three robust trading platforms which include a downloadable platform, a web-based trading service and a mobile state of the art trading app. Both the mobile app and web-based trading service provide traders with sophisticated trading capabilities which can be used while you are on the go. Web-platform – This is the ideal choice for people who have security systems on their computers and have issues downloading programs. Many traders choose it as a default, so they can access their account from different computers and mobile devices. It includes access to many tradable instruments and works on a standard browser. FXnet Trader – This customised platform is a favourite among experienced traders. It requires downloading, but it’s worth it. The variety of tools and available data can certainly make online trading easier, faster and extremely convenient. The platform offers one-click execution and it includes several advanced charts. Traders can customise this platform to suit their individual needs and really make it their own. Mobile Platform – Everyone knows that mobile is the trendiest word in the trading world and iFOREX has a mobile platform that stands out from the rest. On top of the customised layout and smooth access to all features that accommodate trading on the go, the platform also includes some innovative execution gestures, for example, Swipe-to-Close. This platform allows traders to access their account anywhere, at any time. For an enhanced mobile trading experience, the company also offers a unique app for iPhone, Android and tablet devices. The downloadable platform has robust charting tools, news, direct access to global markets, including forex, shares, commodities and indices. 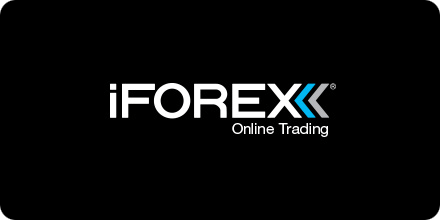 In addition, iForex has worldwide resources that provide global liquidity around the clock. This program functions as a Windows client application that is able to run alongside other programs simultaneously. iForex has exceptional customer service. Offices are located around the world and can provide immediate customer service in your native language. The company offers 24 hours a day support via chat, email or phone. Whether you are a novice trader or an expert which many years over experience, the advantages provided by iForex education section are relevant. You will have access to unique learning guides that are easy-to-read for traders at every experience level. The guides explain the different aspect of trading from learning the lingo to developing trading strategies. The interactive videos allow you to see and hear pertinent information as opposed to reading it through a guide. iForex also has 1-1 personal training, which walks you through the nuances of the trading platforms as well as how to develop a trading strategy. The company is licensed as Formula Investment House Ltd., an investment firm licensed and supervised by the British Virgin Islands’ Financial Services Commission under license no. SIBA/L/13/1060. iCFD Limited, an investment firm authorised and regulated by the Cyprus Securities and Exchange Commission (CySEC) under license no. 143/11.